Showing results for tags 'all genres'. THE ARMORY IS HIRING - ALL GENRES ALLOWED, PLAY WHAT YOU WANT! 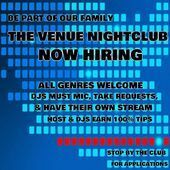 NOW HIRING HOSTS AND DJS! - ALL GENRES ALLOWED! The Armory Is Hiring Hosts & DJs - All Genres Allowed, Play What You Want!